In Boredest you are competing to be the best! Commit crimes, start up gangs, pull heists, beat up your enemies and more! 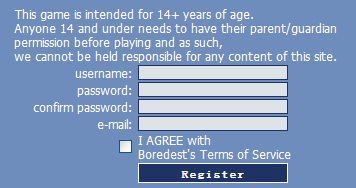 Boredest aims to differ itself by offering cash and various other cool prizes EVERY month. So what are you waiting for?